SA to take over the helm of AU in 2020 - SABC News - Breaking news, special reports, world, business, sport coverage of all South African current events. Africa's news leader. 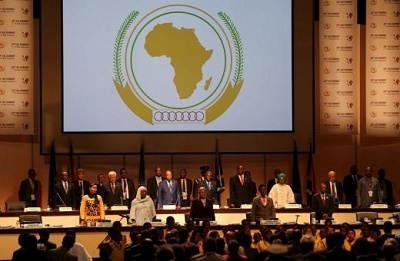 South Africa will take over the helm of the African Union in 2020. This was announced at the AU Summit, currently underway in Ethiopia. The summit is being attended by various Heads of State who are expected to focus on issues of trade and conflict. Particular emphasis is being placed on the more than 20-million people on the continent who’ve been forced to flee their homes due to conflict. United Nations Secretary-General António Guterres addressed the opening of the summit on Sunday and told delegates that the West had much to learn from African leaders over the treatment of refugees. This entry was posted on 11 Feb 2019,07:44AM at 7:44 AM and is filed under Uncategorized. You can follow any responses to this entry through the RSS 2.0 feed. Both comments and pings are currently closed.